Ballograf Epoca is a true Swedish classic that is still manufactured in Västra Frölunda outside Gothenburg. 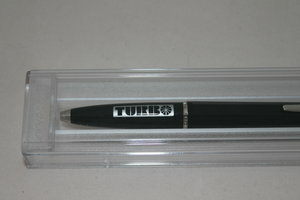 The pen is black with a Turbo logo and comes packaged in a nice case. This is the ultimate style for the codriver! Stylish and very high quality, it is a pen that never fails.